The communications environment is rapidly changing. The barriers of traditional phone and data technologies are going to break down, and users can expect a true multimedia environment with existing services transferred and new services implemented. New suppliers, such as cable companies, will compete with interexchange carriers, RBOCs, and local phone companies for the market share. The differentiator is the price/performance ratio of the service under consideration. Today's migrated and new services lack powerful management solutions. This resource also demonstrates how expert systems solve the problem of handling the large volume of data streams from numerous network components. Practical solutions support each example of an application - offering first-hand operational experience. The solution sets support all layers of telecommunication management networks, such as element, network, service, and business layers. As a result, these solution sets are extremely important to both incumbent and new telco service providers. Numerous cases cover customized solutions for managing wireless networks, sonet rings, ATM, old and new phone services, broadband services, and special access services of ISPs. 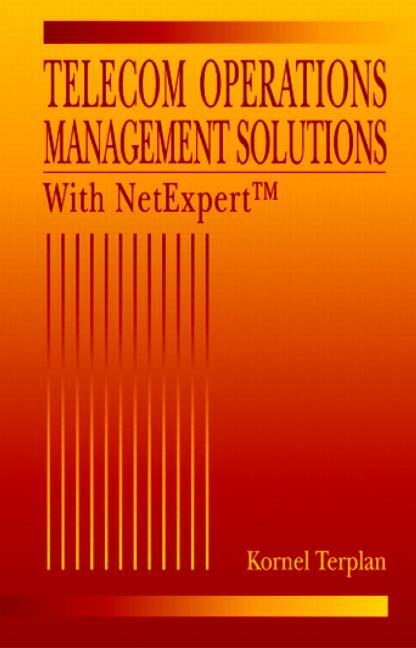 Telecom Operations Management Solutions with NetExpert describes never-before-published information about solution sets based on an expert-system-based framework.